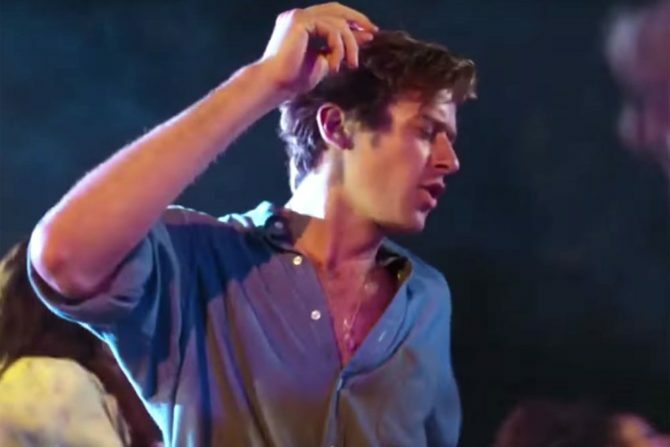 Earlier this week, we shared a clip from the new film Call Me By Your Name that features Armie Hammer, and to a lesser extent Timotheé Chalamet, getting down with their bad selves on the dance floor. The film tells the story of a budding romance between a 24-year-old grad student (Hammer) and a 17-year-old Jewish-American boy (Chalamet), and judging by early reviews, it’s a real gem. Since the dancing clip was released, the elves that live inside computers building memes have realized you can put any music to the clip and it still works — sometimes hilariously. Call Me By Your Name hits theaters November 24.